Following last week’s spectacular performances from the Top 7, South Africa voted feverishly to keep their favourite talent in The Voice SA season 2. Unfortunately, one singer has to say goodbye to the Voice stage each week and tonight (Sunday, 18 June) it was the end of the road for the last man standing in #TeamLira, 23-year-old Luke Lovemore. 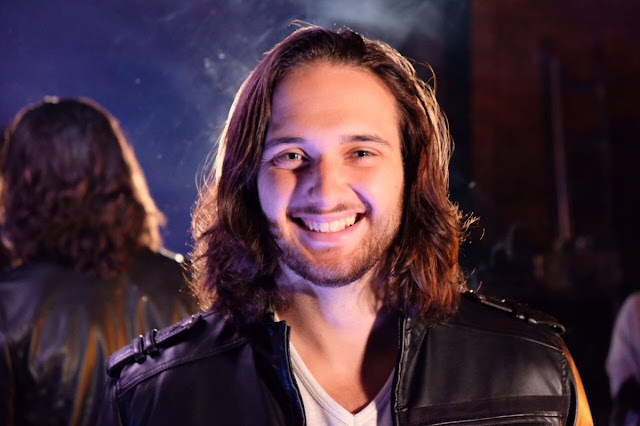 Prior to The Voice SA, Luke honed his singing skills at Cape Town’s well-known Stardust restaurant, where he befriended The Voice SA Season 1 winner Richard Stirton. With Richard’s encouragement, Luke then decided to step into the television spotlight as well by entering season 2. The highly talented Luke quickly won himself a spot on #TeamLira with the Seal anthem “Crazy” and he very handily stole her heart again in the Battles round. He got enough votes for his Lady Gaga ballad “Million Reasons” in the first live show to make it to the Top 8, but his performance of the Phillip Phillips’s hit “Home” in the Top 8 show put him in the “Danger Zone”. And, sadly, his tender rendition of Rag'n'Bone Man’s chart-topper, “Human" last week did not get Luke the fans’ votes that he needed. On Sunday, Luke ended up in the danger zone again, this time alongside Caroline Brussow (32) from Bloemfontein and PJ Pretorius (26) from Secunda. Now it’s time for South Africa to support the remaining singers with their votes again. Voting for the Top 6 opened at the end of the show and will close on Tuesday, 20 June at 22:00. Musical theatre veteran Josh Ansley (31) voting number is 15. Kimberly’s Samantha Leonard (24) voting number is 08. Craig Lucas (23) from Cape Town voting number is 01. Caroline Brussow (32) from Bloemfontein voting number is 13. PJ Pretorius from Secunda (26) voting number is 07. Fatman from Bela-Bela voting number is 02.